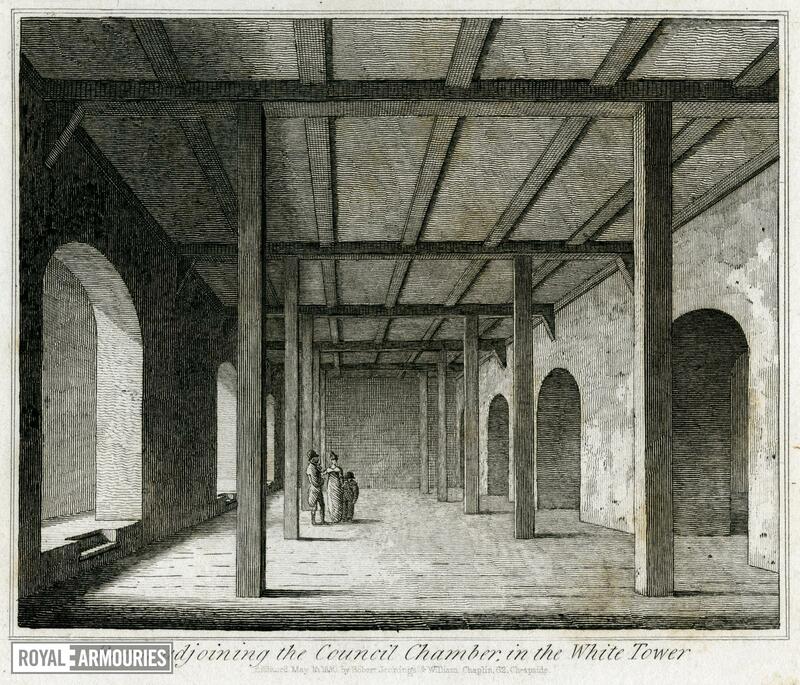 'Room adjoining the Council Chamber, in the White Tower', dated 1830. 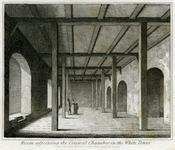 Print showing an empty room on the top floor of the White Tower, the roof supported by undecorated wooden posts. Three figures in the background.